Third-party company, Granicus, knows exactly who is opening a government email and when, all without encryption. The US government sends a lot of emails. Like any large, modern organization, it wants to “optimize” for “user engagement” using “analytics” and “big data.” In practice, that means tracking the people it communicates with — secretly, thoroughly, and often, insecurely. Granicus is a third-party contractor that builds communication tools to help governments engage constituents online. The company offers services for social media, websites, and email, and it boasts of serving over 4,000 federal, state, and local agencies, from the city of Oakland to the US Veterans Administration to HealthCare.gov. In 2016, the company merged with GovDelivery, another government-services provider. It appears that parts of the federal government have been working with GovDelivery, now Granicus, since at least 2012. Last October, we took a closer look at some of the emails sent with Granicus’s platform, specifically those from the whitehouse.gov mailing list, which used the GovDelivery email service until very recently. The White House changed its email management platform shortly after we began our investigation for this article. However, several other agencies and many state and city governments still use Granicus as their mailing list distributors. Every time I open this email, my device sends Granicus my email address and a unique identifier for the email that I opened. Granicus knows exactly who I am, which email I’m reading, and when I opened it — and potentially, so might a network observer. 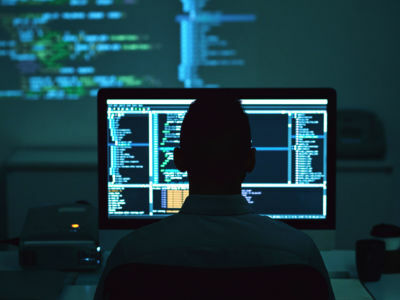 Perhaps more concerning, using an unencrypted connection allows Internet service providers (ISPs) to collect that sensitive information no matter where you are. Thanks to recent deregulation, ISPs are now legally permitted to sell data about their customers — which could include your email address, political preferences, and information about which government agencies you interact with. Normally, HTTPS protects sensitive information from ISPs’ prying eyes. But in this case, not only can Granicus see which email user clicks on which links; anyone on the network, including the ISP, can too. Sydney mostly works on securing your email delivery through STARTTLS Everywhere, but sometimes she does Certbot-y things and writes angsty blog posts. She also likes doing and writing puzzles, distributing databases for no good reason and hand-pulling noodles. She has a deep love for security and noodles. The acquisitive impulses of hundreds of millions could become the stuff of their imprisonment or death.